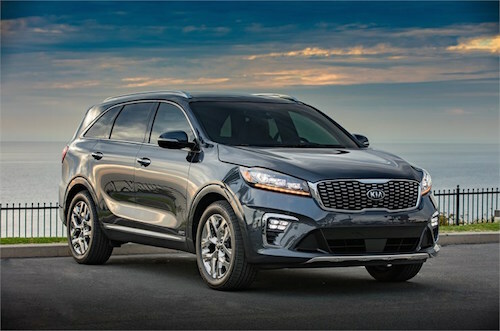 Our Kia dealership near Lamesa, Texas has an excellent selection of new Kia Stinger, Niro, Cadenza, Forte, Optima, Optima Hybrid, Rio, Rio 5-Door, Soul, Sorento, Sportage and new Kia Telluride models in stock now. Choose from new Kia Cars including coupes, sedans, hybrids and SUVs. We offer Kia dealer specials and factory incentives to help you get the very best price. For Kia financing or leasing our auto finance center is here to explain the benefits of buying or leasing your next vehicle and to arrange affordable monthly car payments. Perhaps you are shopping for a used car. If so we invite you to browse our inventory of Pre-owned Kias and used cars, trucks, vans and Pre-Owned SUVs. We have something to fit every lifestyle and budget including many Used Cars Under $15,000. Deep dealer discounts are also available with our used car specials, so you are sure to get a lot of car a without breaking the bank. Expert Kia service, repair and parts are located on our premises. We offer routine maintenance such as oil changes, tune-ups, brake inspections and more extensive auto repair. Kia service specials and auto parts coupons are frequently available to help you save money while we keep your Kia running perfectly. Please stop by and visit our Kia dealers near Lamesa, TX. We are on standby to arrange a test drive, answer your questions and help any way possible. 2018 Kia Soul KNDJX3AA3J7529296 Black ! 2016 Kia Soul KNDJX3A52G7335192 Blue !